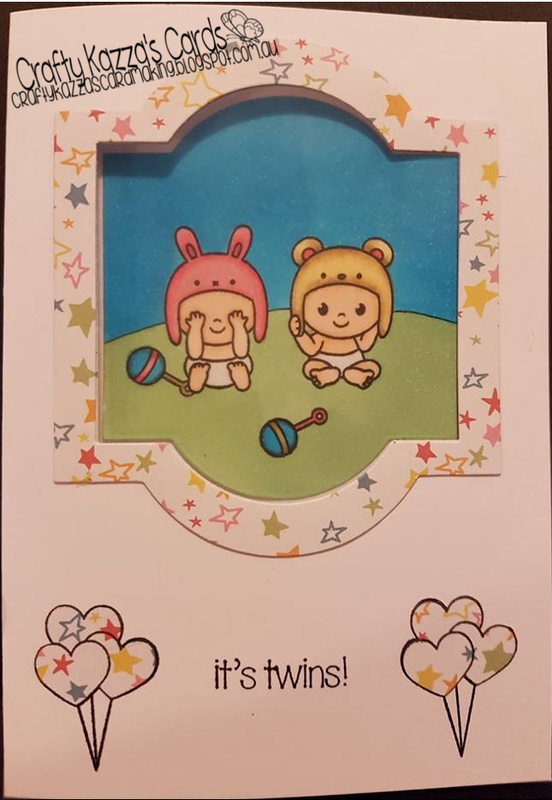 Crafty Kazza's Cardmaking: It's Twins! Hi there, thanks for popping by. Tonight I finished up making this adorable little card that features a plastic covered window with the focal image on the inside of the card. The stamp set that I used is by Clearly Besotted and is called Peekaboo. I used the starry patterned paper from the Jennifer Ellory Bake a Cake set (again). 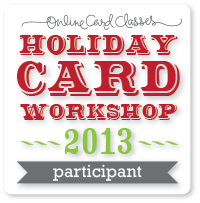 It's a cute paper pack and I will probably have some more play time with it soon. The image was coloured simply with copic markers. I actually thought the sky would turn out a lot lighter, however I learned that FBG2 turns out to be quite dark - but you'd love a sky that colour in real life :o).